Manufactured in the U.S.A., ISO 9001-certified Perma-Cote complies with all standards mandated by UL6, NEMA RN-1, ANSI C80.1, ETL PVC-001, IEC IP69/UL Type 4X and UL 1203. 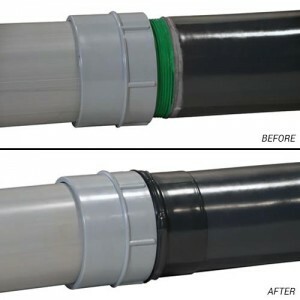 Perma-Cote is ETL-Verified for product performance and reliable longevity — ETL-Verified PVC coated conduit provides product service life lasting 10 times longer than those who do not carry the ETL PVC-001 label. 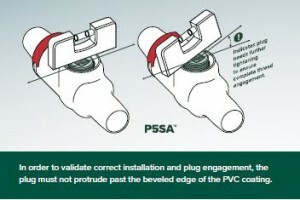 To prevent thread exposure, Perma-Cote PVC-coated conduit developed a simple, detachable sleeve providing a consistent seal over the exposed conduit threads at the point of connection. UL6 is an important standard that addresses safety for rigid metal conduit. ETL PVC-001 is an internationally recognized listing based on performance evaluations and on predicting service life. It is on the basis of independent, objective product comparisons by ETL that Perma-Cote has been proven to provide ten or more times the protective service life of brands that are not authorized to carry the ETL PVC-001 label. Perma-Cote re-earns its ETL PVC-001 label on a quarterly basis by repeatedly and successfully passing the stringent performance tests required for verification. Perma-Cote PVC-Coated Conduit and Fittings has enhanced its line of hazardous location fittings in order to provide customers with the safest and best performing corrosion resistant solution for hazardous location areas. Perma-Cote Sealing Fittings, Conduit Unions, GUA Outlet Boxes and EC Series Flexible Couplings are now verified for safety through UL 1203 Listings; the UL Safety Standard for Explosion-Proof and Dust-Ignition-Proof Electrical Equipment for Use in Hazardous (Classified) Locations. Only installers who are able to present the authorized, unexpired credentials of having passed our instruction and examination are officially certified to install Perma-Cote’s top quality products. Installer certification is free of charge and available at the job site, contractor’s shop, factory, or wherever it is convenient to you! 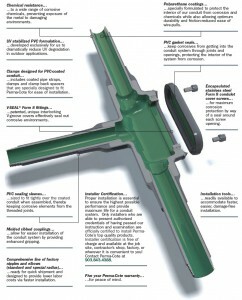 For more information about Installer Certification, contact Perma-Cote at 903.843.4388. 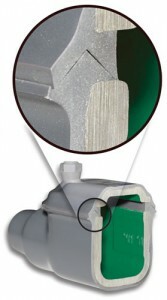 You won’t have to pay more for the best available protection than you would for a standard fitting. It’s all part of the unequaled value provided to you through Perma-Cote.